Fresh Maitake, or Hen of the Woods, mushrooms. Organically cultivated in pristine conditions. A coveted prize of mushroom foragers around the world, the maitake grows in a distinctive cluster of leaf-like, flattened caps that look a bit like the feathers of a hen. 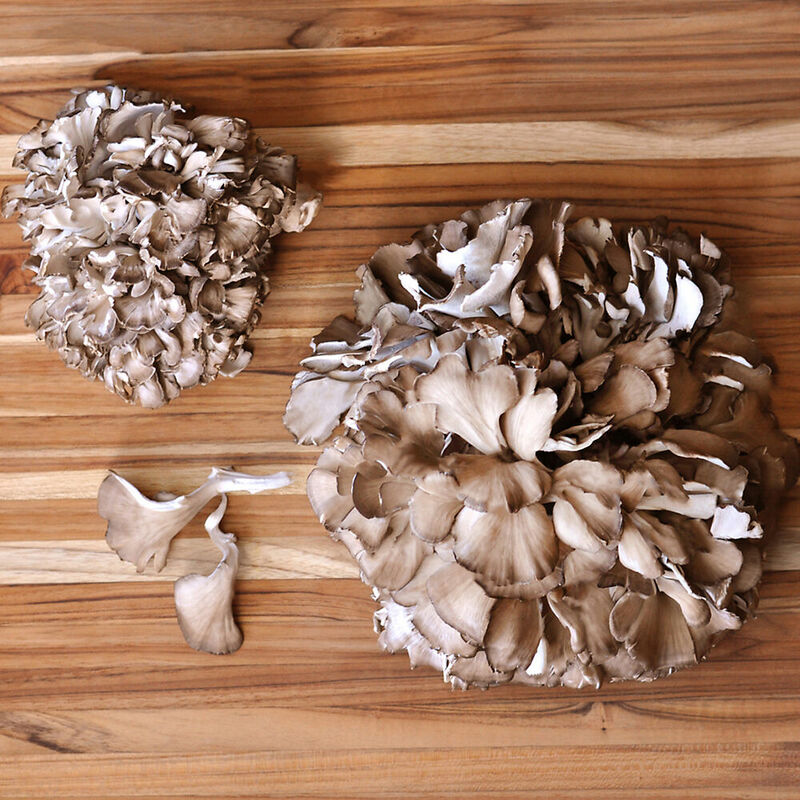 With firm, crunchy texture and fruity, earthy flavor, the hen of the woods mushroom is a favorite with chefs.